Squarespace is an online, hosted tool designed to help you set up an ecommerce store in the quickest way possible. It allows you to focus on the design and feel of you store, while it focuses on the technical parts, like hosting, domain handling, servers, etc.. If you want to pay upfront for a year, the costs average out respectively at $12, $18, $26, and $40 per month. The personal and business packages are labeled as website packages while the basic and advanced are labeled as online stores. It is worth noting that the personal plan is the only one without ecommerce functionality, meaning you aren’t able to sell products with that plan. Squarespace offers very modern and contemporary looking templates. Design is definitely a priority, and it shines above competitors in this area. There are only 22 different templates available, yet most of them contain several variants within them. All 22 templates are available with each plan. All of the Squarespace templates are mobile friendly and responsive on mobile devices. This helps make your site more accessible to a broader range of users; it carries SEO benefits as well. While Squarespace does have the basics, there are a lot of more advanced marketing features that either aren’t available or require some workarounds. For example, there are SEO options, but most require a workaround or two to get the right metadata in place. Due to the easy-to-use design platform, the backend functionality is not easy to navigate. This could be due to the fact that it is designed for you to use the platform that was created. If you don’t know too much about the technical side of things, this shouldn’t be an issue, but if you’re one who likes to make changes on the backend, you’ll want to make sure you’re okay with the limitations. Squarespace is the perfect all-in-one ecommerce tool, especially for those looking for design-oriented, easy to use software. If you are more technologically savvy, this may be too simple of a tool for you, but the number of template designs and professional look may still be worth it in the end. I feel like what sets SquareSpace apart from other ecommerce platforms is their back end software. The reporting from an accounting standpoint is amazing. We have never had problems with customers or product transactions. I would recommend Squarespace to anyone needing help with their ecommerce. I used SquareSpace for a previous businesses e-commerce website and was always happy with their service. Customers seemed to love the ease of use processing their payments and we never had any issues with charge disputes. The back end software is what I liked most about their e-commerce services. Reporting and reconciliation has never been easier. We used SquareSpace for our eCommerce transactions on our company website for years. The reports are very easy to use and the accounting aspects make reconciliation simple. I also know many people that use SquareSpace and have never heard any negative comments. That must say something when it comes to their overall product and service. I would highly recommend SquareSpace to anyone looking. We use square space for our website and it has been great simple to use and they just started offering finance options for our clients which will be very helpful since we have large purchases on our site. Square is very easy to integrate into our website with using Word press. They also have a payment option which is convenient for our customers. We get paid quickly and refunds are easy. 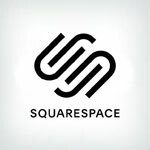 SquareSpace is a great service if you need to build a website. the website templates that squarespace offer look great and the process of setting a website up is very simple. Squarespace offers features for selling things online and can help you manage your orders. they can also help link your website with Paypal or process credit cards for easy payment. I had a problem with deleting an image. For the life of me I couldn't figure it out. I decided to reach out to customer service through their live chat. They were friendly and patient and didn't stop helping me until we solved the problem. I was very pleased and help that I chose squarespace to host my domain. I reach out to Squarespace via Twitter & was sent a link for one-on-one chat support. Lisa B. walked me through reinstalling the DNS (apparently I had broken the site myself - oops! XD) and was very patient with my browser-juggling. She was very kind and helpful, and I truly appreciate her guidance. I have used their service for the last couple of years and most of the time I'm satisfied with what they have to offer. Their mobile app is very easy to use but I couldn't find a way to export my my inventory from their app. Also, their templates are simple and very useful. Great content and layouts. It was really easy to build a website that I wanted for my business. I never had a problem with them. 100% uptime, user friendly, responsive customer care, good designs. Although it doesnt have 100% of features i wanted,i still believe its the best service that fits me. Their secure websites for customers is such a good thing! I moved my site over it square space and bough I had no understanding of building a website, each template allowed me to customize to my liking. I love how free I am to make my site my own. The pricing and domain and email set up is streamlined for convience and the add-on's are amazing!!! I really like squarespace for simple content sites, but I was using it for ecommerce. Eventually I need to migrated to something like shopify or tic tail, but was horrified to find out there was no way to export my ecommerce inventory from the app. This was crazy since I had manually created thousands of products, and there was no way to keep that work if I moved. After being held prisoner for a year, I finally found a chrome extension (http://export-squarespace-products.com) that would let export my entire product feed from squareapace and make the move to shopify. Ahhh. We had issues with my wife's website for her business on Squarespace. It worked fine on the IPhones we tested, but on the default browser for the Samsung Galaxy it would not navigate once you reached the homepage. You also couldn't fill in the information in the contact form on her page. She contacted Squarespace and they initially sent a generic email explaining some ridiculous steps that wouldn't work. She persisted in getting help from their customer support and they said it worked fine in Google Chrome on the Galaxy. Great! Now we just have to tell all of our potential customers to get Chrome! When my wife said that it was the default browser that didn't work and not Chrome, they said everything was fine on their end (just ignoring her concern). Galaxy owners outnumber IPhone owners 2 to 1. Most people don't download Chrome. They use the default browser. This is truly a horrible business practice. There is a valid problem here and they won't do a thing to fix it. By the way, this was tested on 3 different Galaxies with the same result.